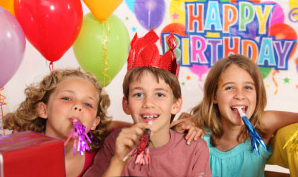 A boys birthday party is a special time as they meet new friends and celebrate their special day. Make it one of the best, by selecting one of many boy birthday party themes to get everyone into the spirit of the event where they will cherish the memories for years to come. Deck out the party with Lego centrepieces, a bucket of Lego for the kids to play with and some creative touches like Lego block cookies and Lego cake. Create a few Lego baskets and use them for a place to put you chips and nibbles. Hand out some face masks to the kids upon entry of their favourite characters which they can wear throughout the day. On entry, each guest gets a choice of 3 face masks, Mario, Luigi, or princess peach. As for decorations you can use star balloons, mushroom cupcakes, white balloons bunched together near the ceiling, and a few pictures of the main characters. On the tables place some novelty fake moustaches and chocolate coins on the table. A green and black theme. Create some cup cakes with the famous Ben10 logo on it. Have a screen playing the Ben10 series in the background so all children can see. Buy some small figurines and have a hide and seek challenge when they have to find some Ben10 figurines which they can keep. Have some face masks made up of the characters and get the children role play the characters they are wearing. All children are judged on their acting skills by an adult. A blue, red and black theme. Hand each guest a disposable camera on entry to take snaps during the day just like Peter Parker. Hang spider webs made out of cotton near walkways and cornices. Place plastic spiders around the house, as a party game, tell the guests they must find as many spiders as they can, the guest with the most spiders at the end of the day wins a spider man figurine. Have an adult dress as spider man and have the children take as many photos with their disposable cameras as possible. Have the children hand back the cameras with their name on it and have the photos developed and sent to them with a thank you note. Print out some cut outs of the power ranger characters and place them around the room. Create some cupcakes with colour rings on top to match the 6 colours of the power rangers. Make some fruit swords (fruit skewered on a wooden stick), Little sushi rolls in line with the samurai theme. After all the children have had a cupcake and put on their power ranger ring, hand every child a foam sword (Cut a pool noodle into sections) and organise for an adult to dress up and play the villain. Have the villain run around the room with the children having to defeat him. Black and red theme. With a pirate theme, on entry each guest is handed a choice of eye patch, or a bandana. Decorate the cake and cookies with bones and wriggly snakes. Place a couple of white flags around the venue with a skull and bones drawn in the middle. Scatter chocolate coins on tables with little treasure chests throughout filled with yellow cellophane paper, fake jewelry and chocolate money. Drape some fishing net in the main area with blue cellophane paper and marine toys to represent the sea. All guests dress up as their favourite superhero. On a large pieces of paper, create a city background and put it on the wall. The kids can now have an area where they can pose and take photos. Get phrases like ‘Wham!’ ‘Boom!’ ‘Pow!’ and post them around the room. For an activity, get the children to make their own superhero torch signaler. Simply get a toilet roll and attach it to a torch. On the end of the toilet roll, get the children to cut out their superhero logo which will fit inside the roll along with some cellophane paper attached with a rubber band. Once the children have completed them, darken the room and let them signal away! Place a lot of colourful letters and numbers on the walls such as ‘ABC’ and ‘123’. Bake cookie monster cookies. Buy some Sesame street hand puppets and plush toys and place them around the room. Have a screen set up with the TV series playing in the background and disperse counting block and alphabet toys on the tables. For the finishing touch hire an Elmo costume and dress up for the day. All guests must wear their favorite football jersey or scarf loud and proud. For those who do not have any jerseys, provide them with white tops which they can decorate with markers and wear for the day. Use your child’s favorite team colors as color theme for that party. Purchase football cards and stickers to scatter across the tables along with some confetti. Have foam footballs and cones so they can later play a football match and have some trophies for the winners, best and fairest along with participation awards. A blue themed party. Hang blue streamers from the ceiling and doorways to give a sense of the ocean. Have printouts of the characters displayed around the room. Cut pineapples in half and fill with pieces of fruit and use as centrepieces. For food, simply make some Krabby patties (Mini hamburgers) and fries. Give every guest a yellow sponge along with some googly eyes and other various materials and markers to create their very own Sponge bob. The best looking sponge wins. Purchase some green and red glow sticks and hang from the ceiling with fishing wire. On the walls, have print outs of the Jedi knights and Darth Vader and his army place around the room. As an activity, place small star wars figurines into balloons and fill with air. Gather all the children and inform them of a meteor shower coming. Toss all the balloons in with the children and have them pop the balloons to get their figurines. As each guest arrives, hand them a novelty hard hat which is to be worn. Have a few print outs of Bob and his friends posted around the room. Buy some plastic tools and scatter over the tables. Have a few plastic dump trucks and use as a centre piece to hold chips and nibbles. For an activity, collect as many building blocks, construction blocks as possible. The guests will then have an extended period of time to build their own town. Using toys and blocks, encourage them to each build a section of the town where they will then present to the adults what they have built.